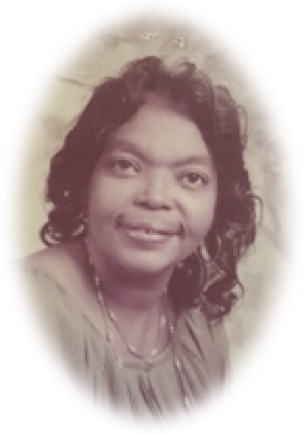 Obituary for Joan Burroughs | Larry Smith-Cooper Funeral Home, Inc.
On March 27, 2018, Mrs. Joan Yvonne Jackson Burroughs passed away peacefully and entered into Heaven’s gates. She was born in Mullins on July 14, 1936 to the late Mr. Roland Jackson and the late Mrs. Maggie Ford Jackson. She graduated from Palmetto High School, after which she continued her education and earned a Bachelor of Science Degree from Allen University and Master’s Degree from New York University. She was married to the late Frank H. Burroughs, Sr. and became the mother of her cherished son, the late Frank H. Burroughs, Jr.
Yvonne, was a retired educator, having taught in Marion School Districts, 1, 2 and 3 for 34 years. In 1987-88, she was honored as “Teacher of the Year”. Yvonne, throughout her active life, as a member of the New Ebenezer African Methodist Episcopal Church, served in all capacities of organizations on the local, district and conference levels. She was Secretary, Musician and Teacher of Church School and Vacation Bible School. She sang on the Junior Choir, the Ebenaire’s Choral Ensemble, the Contemporary and Mass Choirs. She was a member of the Board of Stewards, Stewardess Board #2, Women’s Missionary Society, Pulpit Aide, Layman League 1997-98 “Person of the Year”, and Founder’s Day Committee Co-Chairperson. She served as Chairperson of the Northeast Conference Membership & Recruitment committee and the Hughes-Smith Life Membership Committee. Yvonne, a Golden Soror of the Alpha Kappa Alpha Sorority, Incorporated, for more than 50 years, was a charter member of the Omicron Omicron Omega Chapter of Marion and Dillon counties. She was an active member of the Order of Eastern Star, Palmetto Chapter #262 and a Daughter of Elk, Eureka Temple #590. Yvonne was a beautiful lady, whose kind, sweet and loving spirit will be remembered for her many accomplishments: her commitment to education as a teacher in the public schools, her devotion to her church which she loved very much, her generous contributions in whatever capacity she was asked to do and the love she shared with her family. To cherish her loving memories, she leaves her aunt: Mary Hughes Ford of Mullins; her first cousins: Carolyn F. Mullins and Phillipine Ford of Mullins, Elease F. Siplin of Fort Pierce, Florida, Betty Morris of Philadelphia, Pennsylvania, Sandra Watkins of Lawrenceville, Georgia and Joe Ford of Fort Washington, Maryland; her other cousins, relatives, Sorors, a special friend: Harry Lee McCray of Mullins and friends.